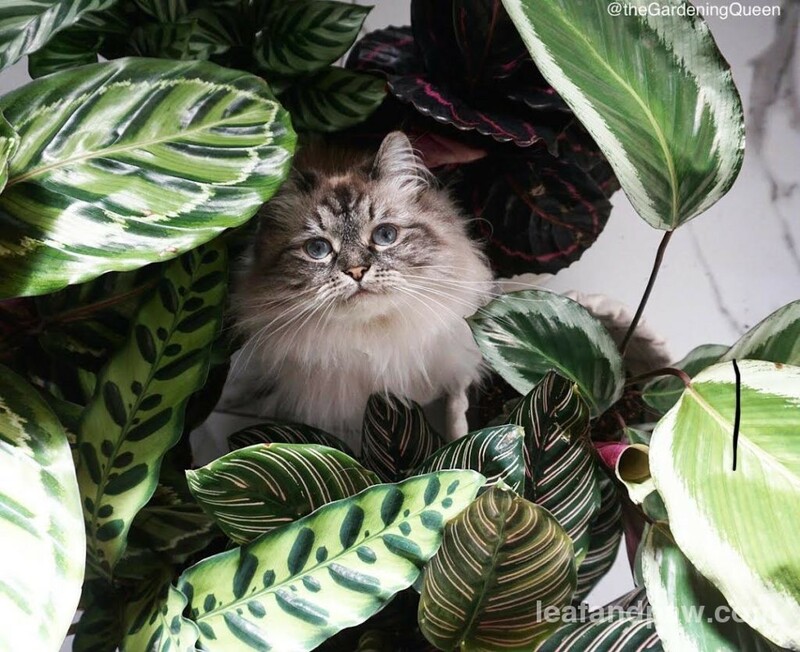 There’s a feeling when you first discover a new houseplant. It’s partly love and fascination, yes, but I’ve noticed plant parents become obsessed. 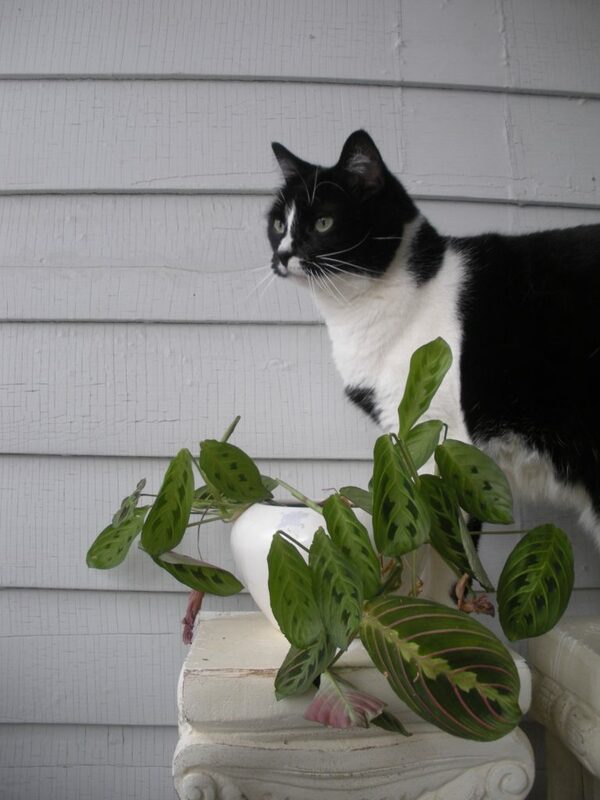 Not just like, “oh I need to have this houseplant” but will-walk-to-the-ends-of-the-earth to find it obsessed. Right now, aside from a variegated Monstera, which I am finding is impossible to locate, I have a newfound love for Calathea. And it’s that kind of obsession. I mean, where have these been? 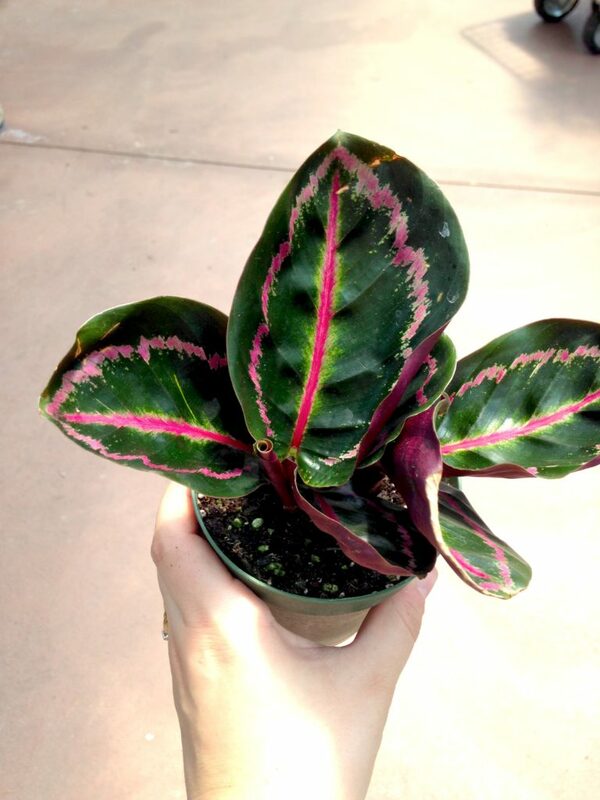 Plus they’re deliciously non-toxic for pets, so yes, I’m in love with Calathea and must have all of them. Both Calathea and Maranta are commonly known as Prayer Plants. Their variegated leaves actually fold up at night, which conserves moisture, and allows them to pray to the plant gods. Part of the family Marantaceae, Calathea are cousins to Maranta, which are just as gorgeous. Typically I’ve seen both plants dubbed as “the perfect beginner” plant. 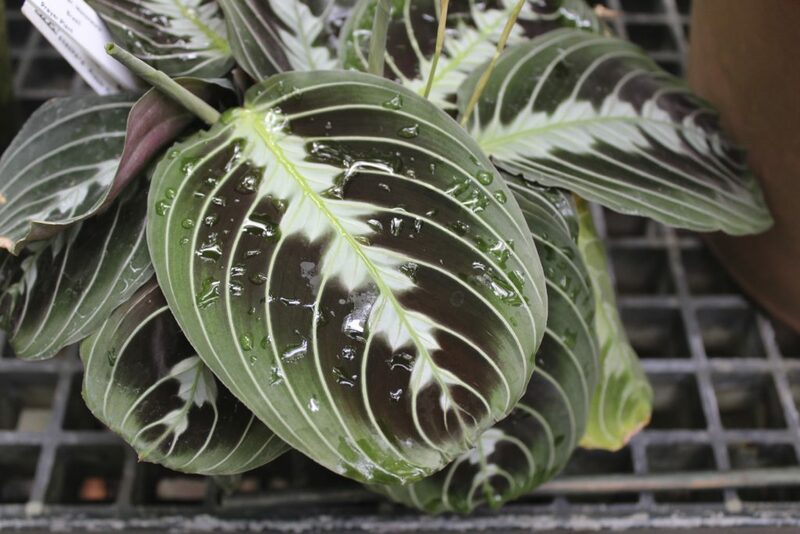 I wouldn’t call Calatheas easy – they actually come with a bit of sass and need certain conditions to actually grow well. They grow best in greenhouses and Brazil, so unless you live in either one there’s a bit of learning involved. It’s possible though, to create these conditions so your plant can be happy. 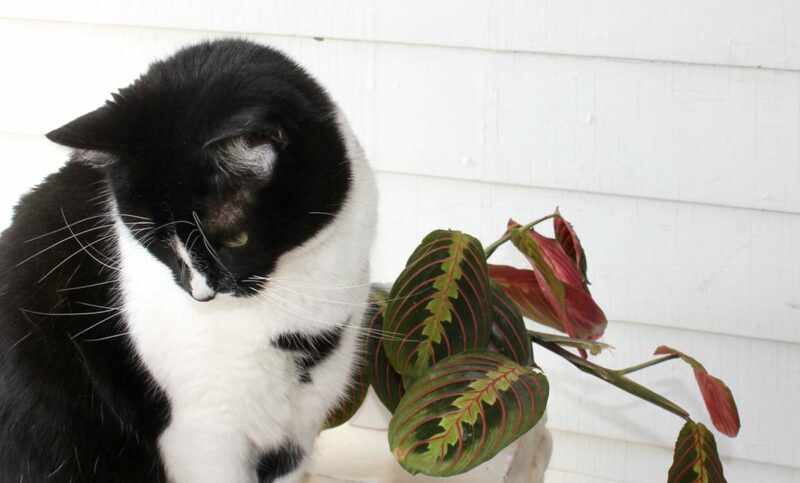 Calatheas are crazy pretty, safe for cats and safe for dogs and purify the air. I’ll just remind you once more that these aren’t a beginner plant – just remember that your love for them will trump this challenge. No, actually it won’t, so here’s some helpful tips. In nature, Calathea are found at bases of trees and their leaves are meant to hold and distribute water. 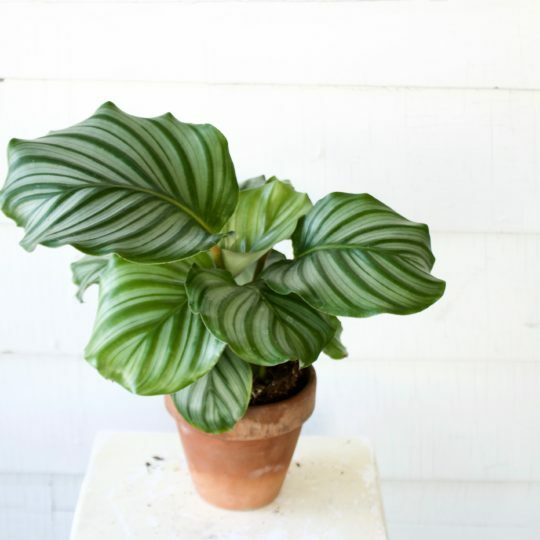 With this in mind, Calathea are notoriously killed by over or under-watering. Plant parents typically see brown tips on leaves and assume more water is needed. I’ll get more into this in a bit, but that’s not quite right. Most often than not, the plant is fine on water, and it’s some other condition causing the dry tips. Light: The best conditions for Calatheas are bright and indirect light, like a east or west window behind a sheer curtain. Direct light dries the leaves almost instantly. To keep the variegation, these guys need a decent amount of light but too much will cause it to fade. Place these on a pebble tray (like here). Mist regularly. Moisture absorbed into their leaves which keeps them healthy. 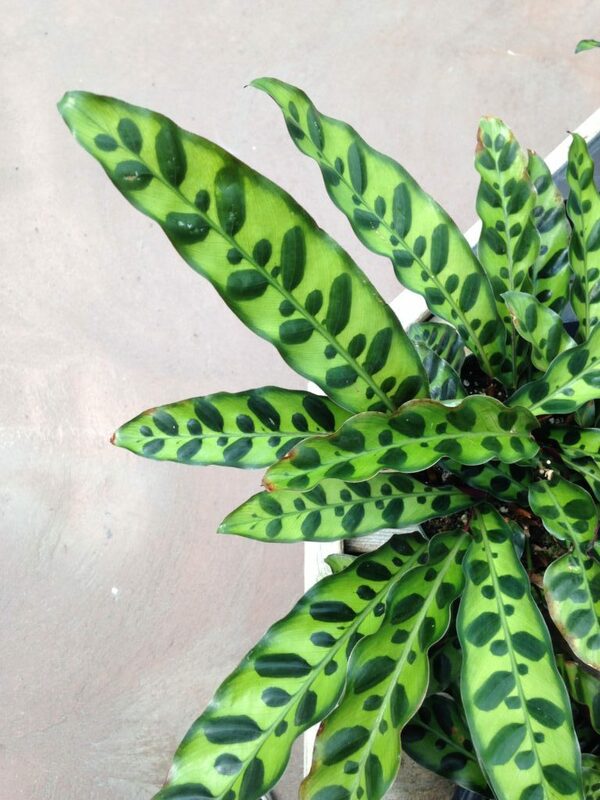 Since Calathea are prone to bugs, check your stems and undersides of leaves often if you mist weekly or more. Run a humidifier. This is what I do all winter and, sometimes, into summer. A humidifier keeps my Monsteras healthy and my Calatheas are usually chillin’ nearby. Watering: This is the trickiest part of Calatheas, because there is no piece of advice I can give you about watering. Basically, depending on the temperature of your house and the humidity level, your Calathea may need water every week or every day. The biggest thing to remember: don’t let them dry out. They like to be kept moist, like a wrung out sponge. I’ve seen a few care guides suggest letting these dry out between waterings. Do not do this. Why it’s suggested I don’t know, but their lifespan quickly decreases with any drying out period. When Calathea do need a drink, there are a few early signs (aside from the soil being dry) to look for. Leaves remain closed throughout the day, dry leaves, and roots sticking out of the bottom of the pot are all bad signs. They’re not happy this way and go downhill fast. Potting: Always plant Calathea and Maranta in pot with a decent amount of drainage. Since over-watering is common, planters without any drainage encourage root rot, which is bad. After watering, always let excess water from the pot. I’ll be honest with you – Calathea and I can’t seem to jive. I have a few lovely ladies but I keep them in my IKEA mini greenhouse and that’s the only way they stay happy. The minute I take them out, I swear they’re cursing at me and throwing spitballs. Brown leaves or brown tips: See some brown edges? It’s ok, don’t freak out, since it’s pretty common. Inconsistent watering habits are the main offender. It can also be over-feeding and low humidity. Always water until it comes out of the drainage holes, and never water in small amounts. After modifying your watering habits, monitor new growth – you may need to still adjust humidity levels if you’re still seeing brown tips. Folded up leaves: This means your Calathea needs water. Give her drink for God’s sake. 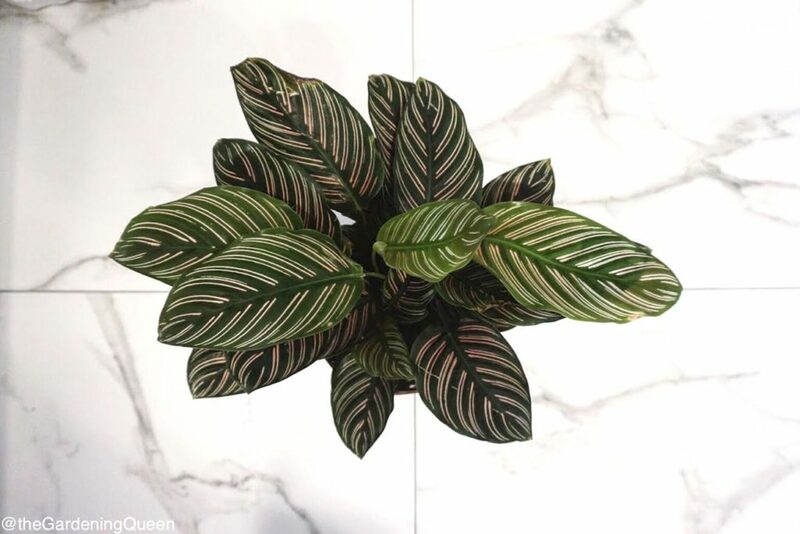 No color and no variegation: Has your Calathea producing new just green leaves? 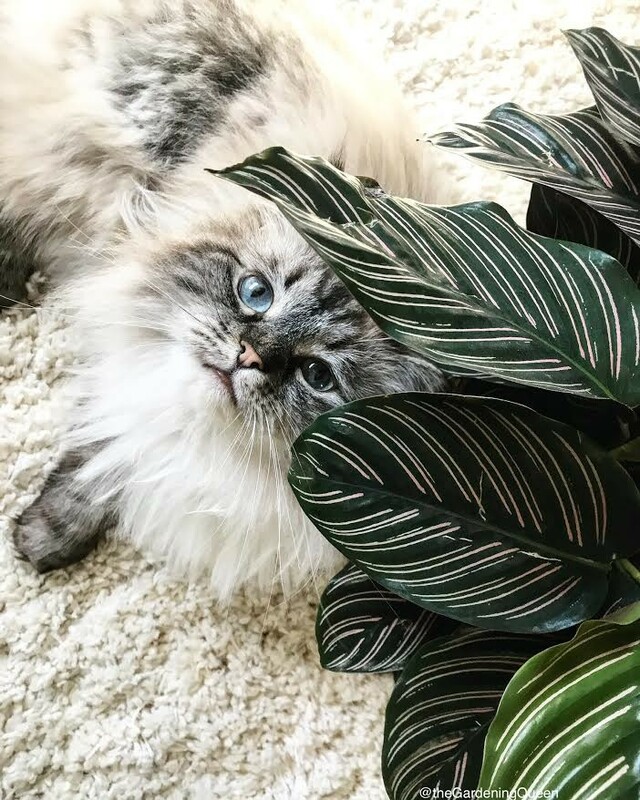 Most likely, your plant baby is in a too-shady spot (see my plant with Harvey below). 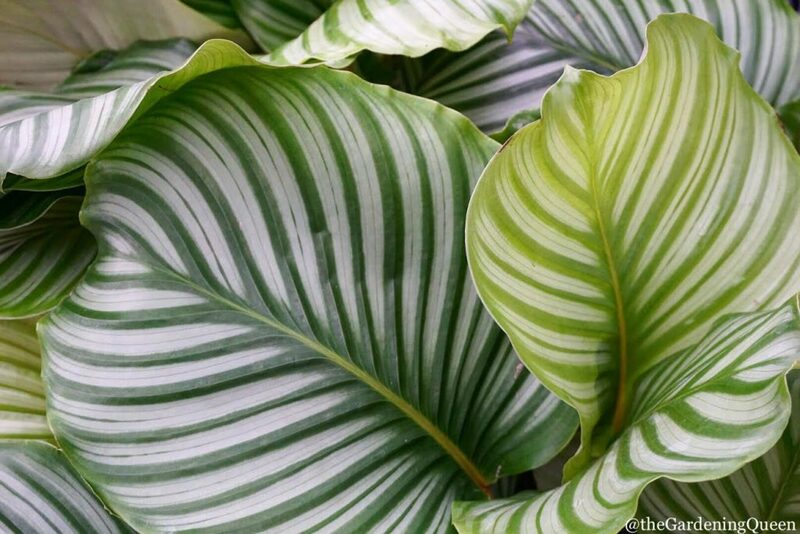 Depending on what type of Calathea you have, you’ll have to change the amount of light it receives. Red Calathea do better in lower light, while green and white Calathea need brighter locations to keep their variegation. Calathea are some of the easiest plants to propagate. Unlike other plants like succulents and Monsteras, Calatheas are propagated by division, like hostas. You’ll want to work with healthy and established mother plants only. Do not attempt propagation if the plant is immature or throwing tantrums. Step 1: Protect the plant with your hands and turn it over (similar to as if you were re-potting) and take it out of the pot. If there are any crowding issues, gently loosen the pot so the plant can slide out. Step 2: Using your fingers, pull the roots apart to separate them. Be sure not to pull out hard or break any roots – this step is merely so you can easily see what you’re working with. Step 3: Once you split the roots a bit, figure out a chunk you can take off – the cutting must contain a leaf and roots for it to survive. Be sure to have a pot ready for the child plant. You’ll need to use the same soil mixture the mother plant had, so the baby plant can acclimate easier. Step 4: Snip/tear this piece from the mother and set inside her new pot. Water thoroughly and make sure all water has drained out. Step 5: Keep the new plant out of bright, hot sun and instead keep in a cooler location with part shade. Keep humidity high; you can either place the plant on stones or put in a plastic freezer bag with the top mostly open. Give her a few weeks, and you should start to see new, baby leaves! 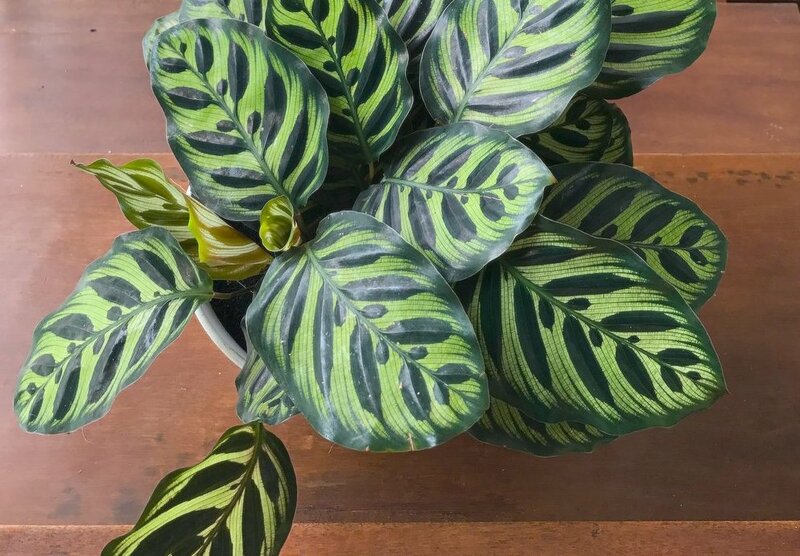 I hope this post helps solve some (common) Calathea problems and prompts you to grow happy and healthy plants. 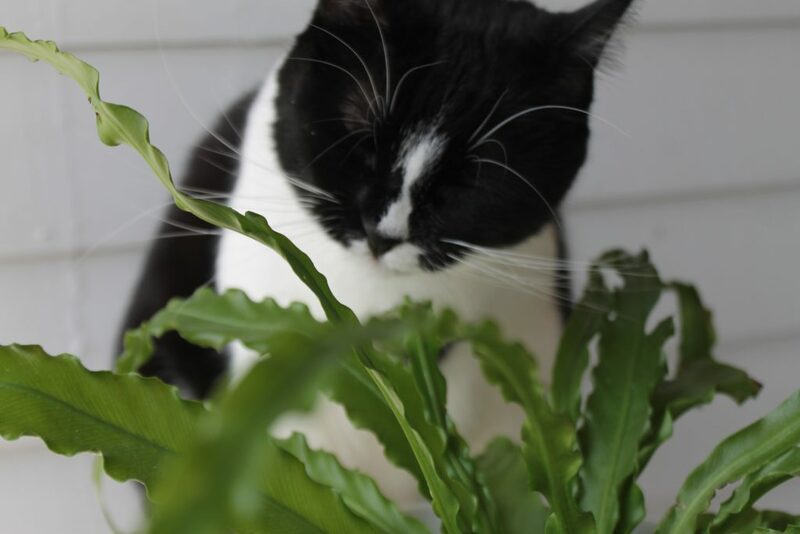 Special thanks to Vanessa, The Gardening Queen, for her contribution and amazing photos of her Calathea collection. I have two caletheas. They surprisingly lasted for 4 weeks of self watering, while I was away on vacation but I came back to a nasty gnat infestation. I let them dry out between watering to get rid of the gnats but one of them never recovered 😣 After that I definitely agree with your suggestion to never dry out. Wish I would have read your post before I did it!! Oh no! Gnats are seriously the worst. For future infestations, especially on calatheas, I would repot instead and add some fresh soil and some sticky fly paper near the plants. Good luck! I adore these plants! Unfortunately my cat literally ate half of my new Maranta, so it’s a good thing they’re pet safe! 🙁 Hopefully I’ll have better luck with my next one (which I plan on tucking high and out of munching range)! So glad that I landed here. I jsut recently got a calathea. Well, not recently, a while ago I got one, a pin-stripe. but just the other day I got another. I’m thinking it’s a zebrina. They are both so beautiful. I can’t stop looking at them and smiling same time! Aren’t they just beautiful?! I’m so in love with Calathea.